For a long time, Gambling in Sri Lanka has been a grey market, unregulated but tolerated. After 25 years of civil war, ending in 2009, numerous foreigners have been coming to the Pearl of the Indian Ocean for sightseeing and tourism. Seeing an opportunity, in 2010, gambling became officially legalized, aiming, in particular, at casino-starved Chinese and Indians. 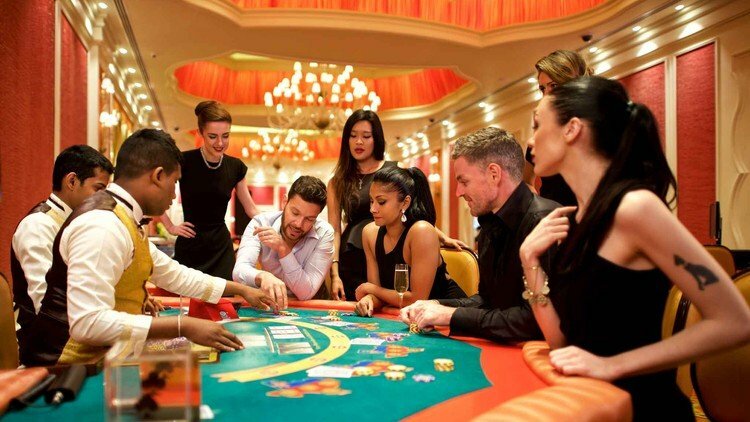 President Rajapaksa decided to give four of the existing licenses to bigger casinos on the condition that the smaller casinos close the moment the bigger brands open. He was hoping that the establishment of bigger international casino brands would bring in greater tourist revenues. Included in these four were Crown Resorts, Sands Casino, MGM Resorts and Caesars Entertainment. But this decision was met with resistance from the Buddhist clergy and some politicians. Concessions were made to appease the opposition: gambling is not permitted near religious temples, schools and densely populated areas. In addition, the activity is taxed heavily, providing revenue to the state. And to discourage locals from developing a vice, Sri Lankans have to pay $100 to enter a casino. All this ended in 2014 when Maithripala Sirisena, who has strong support from the Buddhist clergy, won the election. Sirisena has pledged to stop the transfer of these four licenses to the bigger brands. As of 2015, it had been reported that three of the projects had already been blocked from operating in the island country. The only exceptions are casinos in Colombo which are open to foreign passport holders and in some cases, members, making it a kind of a grey area for locals. The penalty for gambling is normally up to 6 months in prison, but it is up to double that for gambling in public casinos. There are far less casinos in Colombo than there once was. Other than the requirement that they be licensed by 1 January 2012, a bigger issue is new tax rates that went into effect on 1 April 2013. Licensing now involves the casino owner paying a Rs. 10 crore annual levy plus 5% of gross collection as tax. As many small casinos cannot meet these terms they have been closed. Four major casinos are operating in the country. As for poker, games are offered in the island’s four licensed land-based casinos, which are all located in Colombo: Bally’s, MGM, Bellagio, and Stardust. Sri Lanka also now hosts a stop on the India Poker Championship, a series of monthly tournaments designed to promote the growth of poker in India and on the island. Bally’s Casino is one of 2 casinos that offer Texas Holdem poker. The poker room is on the ground floor of the casino. 3 tables are fully dedicated to poker. Leading nightlife spot and gaming arena. Daily Texas and Omaha Cash games and special cash games festivals. Jim’s Poker Room is the very first poker room in Sri Lanka, located in the Casino Marina Colombo. It is open 24/7, offering Texas Holdem and Omaha games. Regarding online poker, Sri Lankans are free to play on offshore sites and all major Online Poker Sites, as there is hardly any regulation regarding this matter. This is mainly because internet access in Sri Lanka is scarce and serves as a natural hindrance to playing online. But this may change as more people get access to the internet. There are no poker sites offering play in either of the two main Sri Lankan languages (Tamil and Sinhalese), nor do any conduct transactions in the local currency. Opinion on the quality of internet in Sri Lanka varies widely. Some say it’s the best in the region, while others describe it in terms of multiple crying emoji. Prostitution: Are casinos in Asia playing a dangerous game? 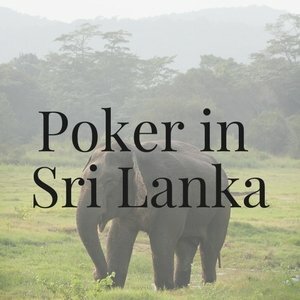 Learn everything about playing Live and Online Poker in Sri Lanka: history and legal environment + tips on the Best Websites and Poker Rooms / Casinos.